Finance Minister Arun Jaitley today, on 3 November, accused Congress of highlighting the 'growing intolerance' to gain political mileage. He reiterated that India has never been intolerant and will never be intolerant. "I have already said that there is complete peace in the nation. There is an environment of faith in the entire country. 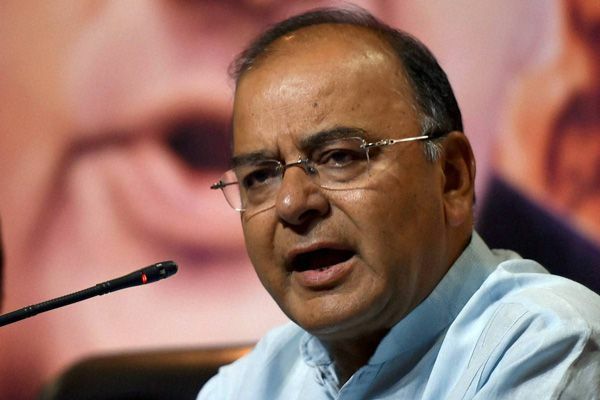 India has never been intolerant and will never remain intolerant," Jaitley said at the press conference of the International Film Festival of India 2015. "There is no point in raising the issue of intolerance just by making false statements. If they (opposition) are saying that there is intolerance then where it is. There was no point to raise this issue for political gains," he added. The Finance Minister pointed out that there was no point in linking the incidents which took place under the UPA's regime in Maharashtra to the current state of affairs. Jaitley had earlier asserted that India remains a highly tolerant and liberal society and had accused the obstructers of 'wanting to project India as an intolerant society'. "There are many who have never intellectually accepted the idea of the BJP being in power. This obviously includes the Congress, many left thinkers and activists. Over decades they have practiced ideological intolerance towards BJP. They wish to project India as an intolerant society but the truth is otherwise," Jaitley had said in his Facebook post. He also said that no one in the country has ever supported intolerance. "If anyone ( Shahrukh Khan) is saying that intolerance should not be there then what's wrong in it?" he said. The Bollywood actor on his 50th birthday had said that 'religious intolerance and not being secular was the worst kind of crime that one can do as a patriot'. READ NEXT >> Video: This nocturnal creature saw sunlight for the first time.You would like to know more about him!